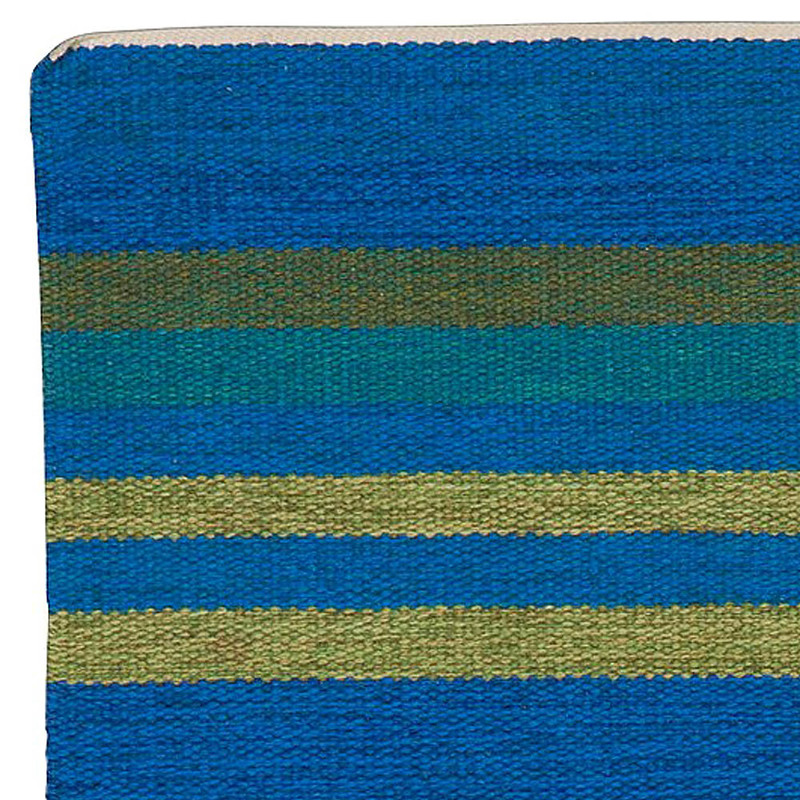 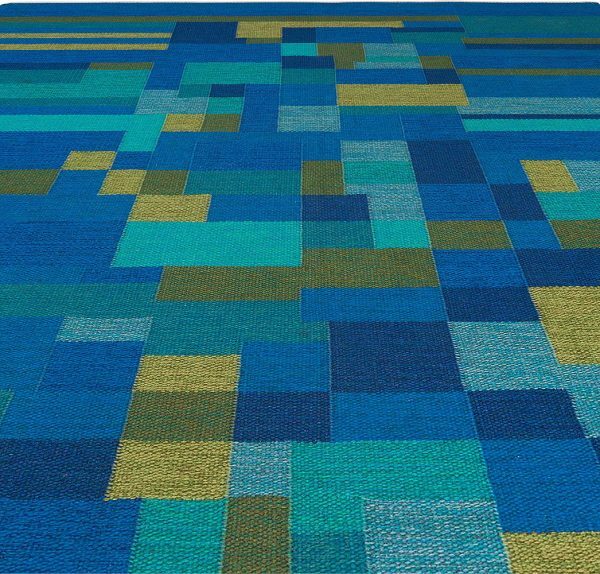 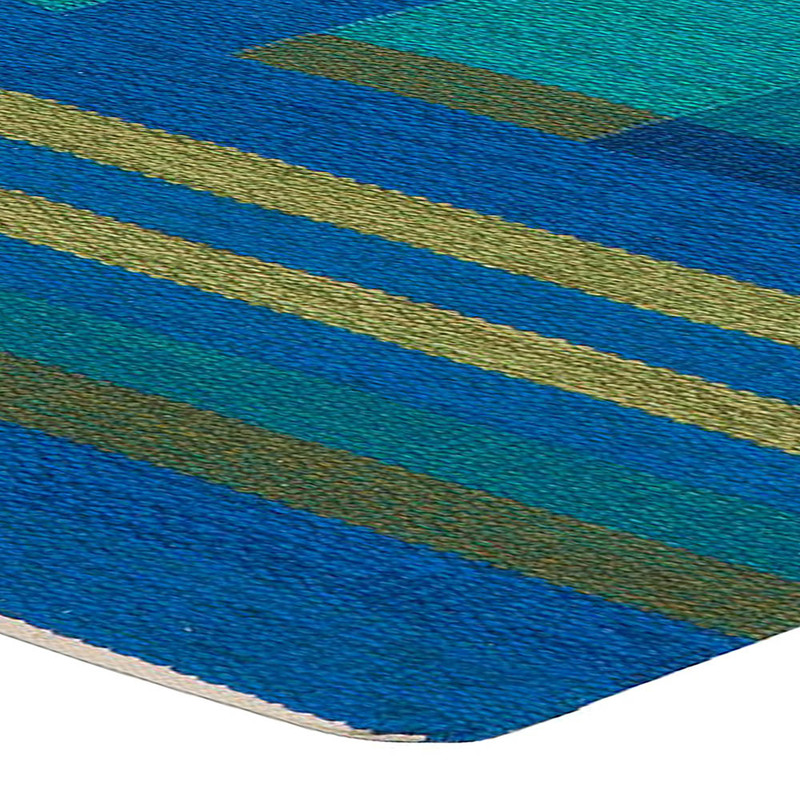 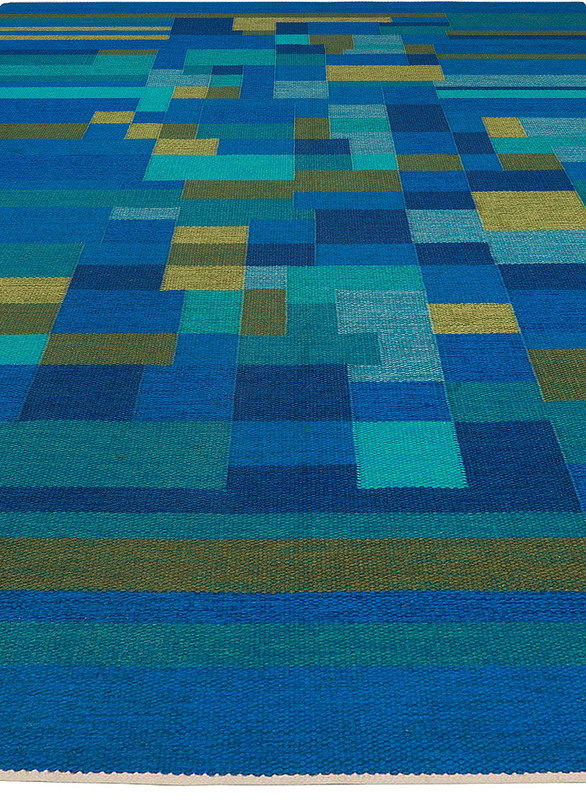 This circa-1960 Swedish flatweave rug, signed “AB,” arrests the eye with its use of electric blue color. 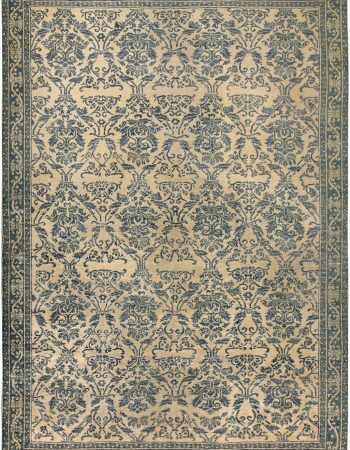 Geometric patterns in beige, brown and dark blue add a touch of bold minimalism to the vintage carpet. 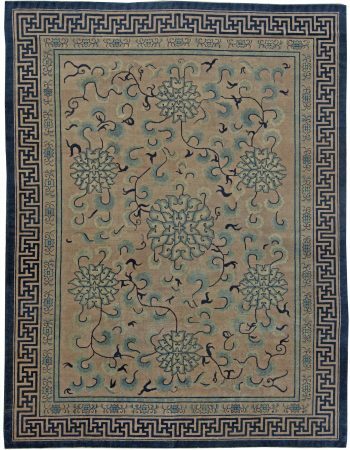 Flat-woven antique rugs feature a type of weave created from vertical (weft) and horizontal (warp) interlocked threads, for a napless overall effect. 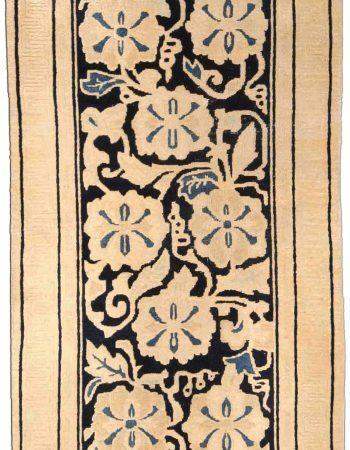 Carpets and vintage style area rugs have been handmade from knotted wool in Sweden for centuries, taking on many different forms and functions over the course of time. 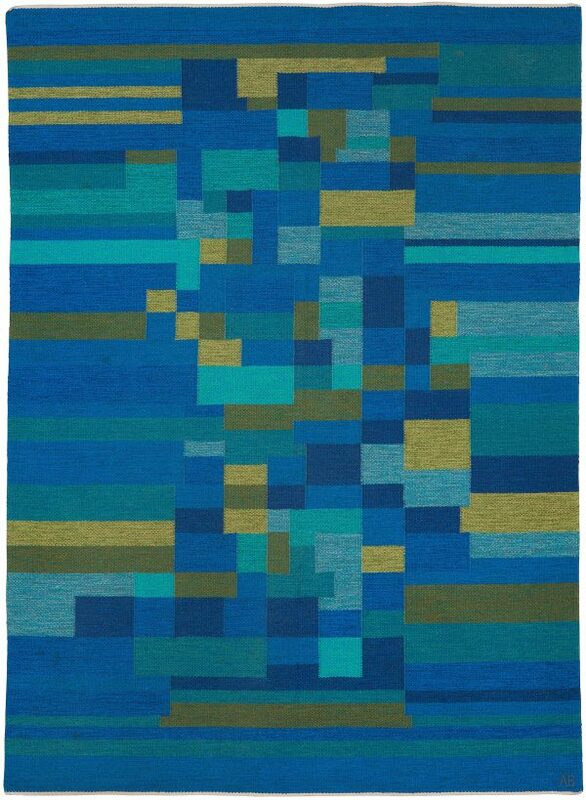 By the beginning of the twentieth century, the craft was seen as being an important artistic and cultural practice throughout Sweden, and designers began to make scandinavian wool rugs that had a broad international appeal. 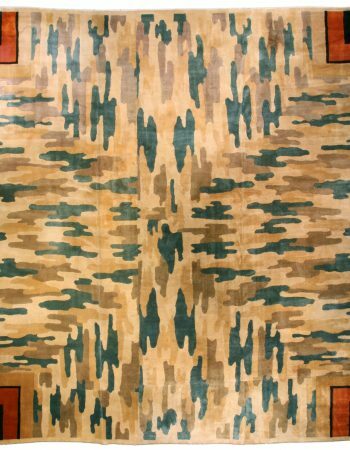 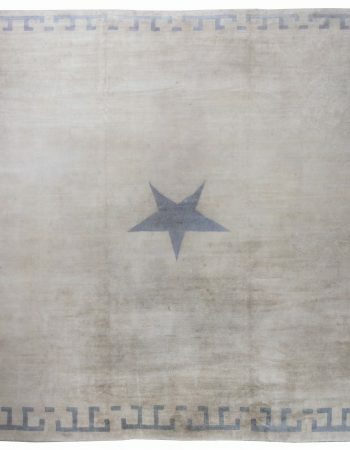 Scandinavian carpets from the mid-twentieth century remain among the most desirable and sought after in the rug world.